Jang Geu-Rae (later played by Im Si-Wan) played the board game go since he was a child. Playing the game was everything to him, but he failed to become a professional go player. Now he is thrown into the real world. By an acquaintance’s recommendation, Jang Geu-Rae is able to begin to work for the trading company One International as an intern. On his first day, Jang Geu-Rae meets his boss Oh Sang-Sik (Lee Sung-Min). Jang Geu-Rae struggles to work at his new company. 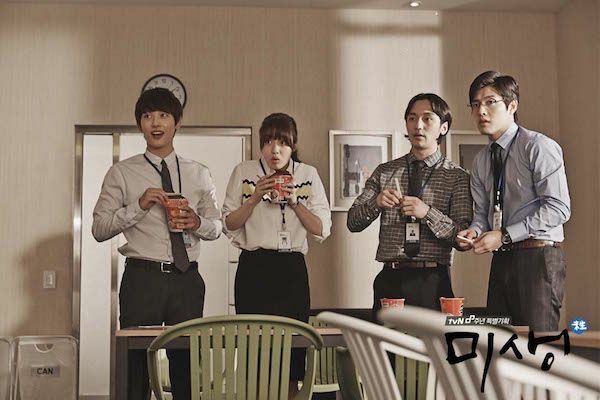 "Misaeng" takes over the tvN Fri & Sat 20:30 time slot previously occupied by "Plus Nine Boys” and followed by "Heart to Heart" January 2, 2015. Based on the webcomic "Misaeng" by Yoon Tae-Ho (published from January 20, 2012 to October 14, 2013 via cartoon.media.daum.net). First script reading took place August, 2014 at CJ E&M Center in Sangam-dong, Seoul, South Korea. 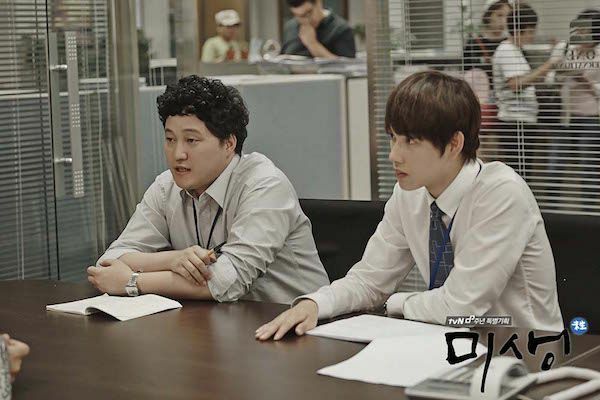 Actors Im Si-Wan & Lee Sung-Min and about 50 staff members travelled to Amman, Jordan on September 18, 2014 to shoot prologue scenes for drama series "Misaeng." They will film scenes also in ancient Petra City, Wadi Rum and other areas of Jordan. They will return to South Korea on September 24, 2014. "Misaeng" is the first South Korean drama series to film on location in Jordan. Jerry Kherl Feb 25 2019 8:46 am This is a very good show with the exception of a couple of episodes where it looks like they stretched it out to make it last for 20 episodes. Being American a lot of the concepts of gender discrimination are weird to me. It seems that women in South Korea are not truly equal yet in the work place. Of course this is also 2019 and the show was done in 2012 so a little might have changed. Did not end as I expected but was a very pleasant ending to watch. Tiff Jan 21 2019 11:44 pm The first time I watched this, I was bored. From the first two episodes, I was really bored. So I cut it off. I stop watching it and that was way back 2014. Now, I try to watch it again. After 5 long years. I watched it again but now, till the end. I finished watching this drama. and I think that it was really the right time (2019) that i should be watching this since i am a fresh graduate looking for work right now. I absolutely understand and can relate to what they are portraying during the drama. it was a one hell superb drama. it was really close to reality. It was ALL IN. I don't regret watching it now cause probably, that time, i could not understand anything since i'm still a student. This drama really hits me so hard. Every scenarios, conversations, mistakes, arguments was really getting into me.A great drama that portrays reality in a work. the cast, directors, staffs, everyone who makes this drama into success. Thank you! thank you so much. Jang Geu Rae! Mr. Oh, Mr.Kim, Mr. Chun, and his colleagues: Suk yool, Baek ki and Young hi. Fighting! the best!!!!!!!!!!!!!!!!!!!!!!! Dudu Sep 23 2018 8:36 am I bawled my way through the first two episodes. I think I was a teenager the last time I cried watching anything. I've got 3 episodes left and I'm procrastinating cause I don't want it to end! What will I watch?! This series has been stellar, absolutely everyone brought it. There's not one actor who I'd say didn't do a good job. Bravo! Diane Sep 22 2018 10:59 pm I wish I had a place with a view like that to take smoke breaks! Overall a very depressing drama. Lileli May 17 2018 3:19 pm Interesting, a serial with senses! Arti Apr 02 2018 11:00 pm It's indeed masterpiece. I thought Reply 1988 best drama but damn I think best just happened with this one. I don't know how many litres tears fell from my eyes and I don't remember I ever smiled wholeheartedly with any drama. I was on edge of every emotions. All characters were flawless. I have only complaint I felt last episode was not up to the mark but that was minor flaw because whole ride was rollercoaster. it's pretty goood eventhough the first few episodes are kinda slow but it develop really well in the end and i was almost want to drop this drama but the chemistry of the casts really got me to love this drama. The 4 friends complete each other Suk Yool,Young hi,Gu Rae and Baek ki <33333 Oh Sang Sik and Dong Sik characters are well portrayed!! This drama shows what it is feels like in a working world where i havent experience yet.... so stressful and complicated. Limon Sep 23 2017 5:29 pm just finished a perfect drama. i have watched many k-dramas. so when i see a positive review i try to watch that drama , sometime i like the drama but 95% time the drama can't live up to expectation. But not in that case, this drama is such a beauty , so much perfect that i didn't skip a single second. i don't know whether it's the best k-drama or not but surely i thank myself that i watched that drama. Carolyn Robbins Aug 27 2017 4:08 am I am completely captured by the competence of the writers, director, actors and producers that created this series of highly thought provoking and insightful themes of everyday working culture. Thank you for making me think and review, the complex strategies revealed in your stories and in the acting portraying these stories. Not only did I gain some knowledge of the South Korean culture, but how often, working relationships do span many cultures. Brilliant work! Congratulations. C.T. Aug 20 2017 12:47 pm found this unique kdrama on netflix and got hooked; showed it to my husband and told my kids about the trials and adventures of Geu-Rae; we recognized other actors from other kdrama ; Lee Sung-Min, Siwan and Kim Dae-Myung did a great job! and I must say the cast gave justice to their respective roles : acting is not cliche, credible (really feels like one is back in the office) and diverse; (we like Kang So-ra in Mendorong; even the boy who played Mr O's youngest is a natural) gives non-korean viewers insights to the complexities of asian-korean culture wc are deeply ingrained w/ its adv and disadv; my husband & I enjoyed the incorporation of the philosophy of "go" and how that is interwoven into the story and maturity of the main character. kudos to the actors who gave refreshing acting and not predictable style/mannerisms that is so common in kdrama. congratulations! hope to see more of this exemplary work. Thanks! zerah Mar 18 2017 1:25 am millions tumbs up! indeed, you don't mess with perfection! MM Feb 17 2017 4:12 am You don't mess with perfection. Yenisunny Oct 17 2016 8:01 pm Misaeng has changed my life. I'm so grateful. Johnny Oct 15 2016 7:23 pm Wish there was some sort of conclusion for the character Young-Yi. Will she be forever bailing out her Dad? Will the relationship between her and Baek Ki continue at a glacial pace to the point where they have their first kiss when they retire at 65? Will Dong Sik keep growing? South Asia Oct 12 2016 3:35 pm Best Drama ever... can't get enough!! suzy Oct 07 2016 3:26 am My korean friend told me that almost all streets in Korea are vacant when this drama aired because most people watched it. Amazing drama indeed! Good job to everyone whom involved in this drama production. In my opinion, only Jewel In the Palace could stage on the same level. JITP was huge, colosal, beautiful in every angle, not boring. And this Misaeng placed the second after JITP. Dince Jun 23 2016 11:31 pm Been wanting to watch this since 2014 but I cannot be bother to follow currently aired drama. So I waited till it finish. And just watch it like yesterday. OMG!! How come I missed out this drama big time. This was one of the best realistic k-drama ever. I remember I was traveling in Gyeongju on November 2014 and all of the Koreans who stayed were watching this drama in the Hostel's common room. And my Korean friend also told me how famous and realistic this drama. tvN, keep up the good work! Gena May 22 2016 8:08 am WONderful!!! More please! Jasmine May 12 2016 11:19 pm Episode 5&6... DAEBAK!! WOW!! Crying...then laughing.... :( ... :) The story is superb.... The acting of All the actors is Excellent!! siwanee Apr 08 2016 1:16 am you are amazing!! good luck oppa. saranghaeyo!! Ciput Apr 01 2016 12:31 pm Where have I been?! This drama is gooooood and there's no romance. I compare it in my real office life so I enjoy this drama. Siwan kereeeen!!!!!! kahkahi Mar 23 2016 10:11 pm this was a popular drama in korea because many found the story resonates with their everyday working life. on the surface korea is a developed country, but its work culture is full of power harassment, physical violence, verbal abuse and misogyny. what a disgusting environment. great show. Hol Mar 10 2016 6:40 am watching misaeng was like going on an adventure! i loved the fact that the other workers' stories were shared as well.. it's hard to find a drama that does that, without only focusing mainly on the main character and their struggles. nevertheless, it is a good drama. and it's realistic! love it! i would rate it a 8.9/10 !! Speedy Jan 10 2016 3:02 pm Just finished watching this drama, wow... I haven't seen a drama as good and realistic as this in ages. The characters are amazing, you clearly feel their emotions, their ups/downs, their care for co-workers, their weaknesses and strengths shine through in this drama. The comedy too is hilarious at times in this drama. Episodes 1 to 5 are great, every other episode is not as good as the first 5 however is essential for character & plot development, there are some great scenes too, serious and comedy wise. I was a bit disappointed with the ending though, but thats because I just wanted more since this drama was too good. These types of dramas are rare, so its a must watch!, I could relate to this drama a lot at times and also learn't a few life lessons. If you on a 50/50 decision whether to watch this drama, I will say hands down go and watch it straight away! because at the end you will only be blaming yourself for why you took this long to watch it. CoordiNoona Dec 17 2015 9:14 am I started bawling my eyes out on Episode 15 (?). Great drama! Very touching and full of life lessons. I highly recommend this one. Vitana Nov 11 2015 3:00 pm This is the best Korean drama so far for me. I am still thinking about it. misaengsupportyou Oct 10 2015 1:14 am Misaeng deserves the Korea Drama Award through and through. Fans from one other drama went berserk and cried foul when Lee Sung Meng won Paeksang Best Actor. Dont we need to accept that even if one is good there will always be others who are better. Not surprisingly they are doing the same thing again when Misaeng just won Best Drama. It doesn't matter what they think. Misaeng's solid performance in all areas has won the day. Congrats!!!! Vitana Oct 09 2015 9:10 am Great drama! It's speaks a lot about Korean character. If you were bigger country, you would be on the top of the world. Wish you best! Bella Sep 19 2015 8:38 am This drama is worthy to watch a lot of things can be learnt from it! rumhee Aug 23 2015 4:15 pm This is my favourite kdrama and I've been watching kdramas since 2009, so I think it shows how amazing this drama is. Maybe not for everyone but you should give it some time and in the end, while watching the finale, maybe you will also feel like you said goodbye to your best friends, like I did. I also love the ost. It's been months since I finished this drama but I still couldn't find anything to replace it. critehypo Jun 26 2015 10:57 am Me working in a big korean company can relate much on this show... i really how the truth in office works are being shown. beow Jun 19 2015 11:05 pm people always get put off when i say this drama is about office workers, and i really dont know how to explain the feels that this shows gave me. It is in my top 3 kdramas ever- and i started watching in 2012- and it is just so beautiful. love the charcters, the plots, the actors, just sdkfhsjf;ajs. This is the second drama that i have ever watched more than once, and the first drama that i've watched more than twice because i rarely ever do that. I'm planning on rewatching it again for the 4th? 5th? time. M3rry Jun 02 2015 10:15 am Ps: love the song too. tomorrow, geu rae? Hope that they can received more awards. This drama really do good in everything. actor, song, plot, script, etc. M3rry Jun 02 2015 10:12 am Great drama great acting great story great jang geu rae! I watch this drama 4 times, until now. And i always cry for jang geu rae. aigoo... Really do love this drama. thanks tVn for always making great drama! Geu rae? Love tVn too. Young Yi Apr 08 2015 10:07 pm For us to know more how their business (Mr. Oh's new company) will become. And what will be the reaction of 'One International' to their former employees, esp Jang Geu Rae, for saving their contract from Jin Sung. That served them well! peejay Mar 16 2015 6:38 am Faye, you're missing a lot by not watching Misaeng, unless that kind of plot does not interest you. But if you're expecting romance, then don't watch it. The actors were great especially Siwan and Lee Sung-Min, and the plot will keep you wanting to get to the next episodes. Although the drama was broadcast at tvN, a Pay TV, it was able to garner 8.240% viewership. An all time record for Pay TV, even more than Emergency Couple, which I also like. I've discovered that tvN was been making a lot of noteworthy series since I started watching some broadcasted in their station like Monstar. Thanks tvN for making great dramas! siska dm Mar 06 2015 9:11 pm Good plot+good script+good actors+good cinemato+good music score=DAEBAK! I haven't watched Korean drama for a while then I stumbled upon this! It's really good. Faye Mar 04 2015 8:49 am Almost slept during the 1st episode. I think it was really really boring. In the beginning it was really interesting, but i was just mehhh when i knew it was all about work-life. I stopped watching this and continue 3 months later (now). Now im watching the EP 5~~~ I really wish Jang GeuRae would look amazing as i seen in the 1st ep. juang jj Feb 19 2015 9:30 pm This show comes on Thursday and Friday in Malaysia (it is still showing). It was pretty good and the director and writer did a good job in portraying the cast into their character perfectly. I've never followed tv series especially Korean. This was very well done as it's so real both the humour, bullying, politics etc. I have to credit to every cast and crew wheather the good guys or bad guy role. The main guy Jang Geu Rae was an inspiration. That's remind us of giving our self a chance to do what we should do despite the adversary we go through regardless of working for someone or on your own. Life is really tough in Korea if you are not a University Graduate, nevertheless we still have to be diligent in what we do regardless of which country of origin..
storm Feb 07 2015 11:05 am I've stayed away from Korean dramas for like 2 years because they were getting too repetitive and were starting to bore me. Misaeng on the other hand caught my attention. I was skeptical about it at first because it looked quite dull, but boy was I wrong. I was hooked from episode 1. I even cried watching it because I was immediately attached to Geu-Rae. I was able relate to him a lot and I desperately wanted him to succeed. Misaeng is not one of those typical cheesy romantic dramas. Yes, romance is hinted but the main focus is definitely on friendship between the characters and I love that. It's so refreshing. It has a very realistic plot that shows us that the world of work is not easy. It also has very likable characters and all of them will start to grow on you slowly. For the people who are still not sure whether you want to watch it, just watch the first episode. You won't regret it, I promise. L88 Jan 21 2015 9:35 am This drama backsound sounds like sherlock's, right? What is it? Ozmo Jan 21 2015 3:33 am Wow!!! All you have to do now is wait for the awards to come. anita Jan 16 2015 10:20 pm I loveeee this drama !! It's a real yet has positive meaning about life and work. Each character and events in this drama are so meaningful, I applaud the director and actors that has done great job. It makes me want to read the webtoon if there are English translation, please anyone let me know. pretty noona Jan 05 2015 5:35 pm Really love this drama... Kang Sora fighting. FAYE Jan 04 2015 5:34 am One of the best drama ever made. Everyone should watch this one. They deserved recognition and awards. I'm a new fan of Lee Sung Min. DAEBAK!!! Misaeng fighting!!! I'll keep recommending this drama to my friends and family. zupleq Jan 04 2015 4:47 am The greatest drama that i ever seen. The one and only drama that i watched twice. It shall be the winner in drama award. And im in love with Jang Geu Rae. Im Siwan, see you in next project. Ferry Harianto Jan 03 2015 5:49 am It's greatest drama I ever seen, hope there's 2nd season for it. 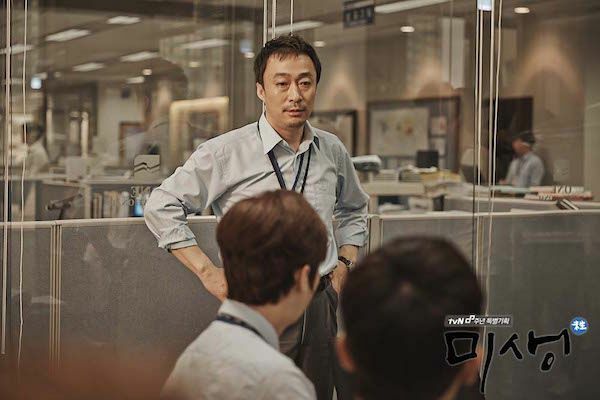 I've also seen MISAENGMUL, parody of MISAENG, but I hate it, it ruin image of real MISAENG. I hope MISAENG will end as soon as possible. Muhd Syahmi Dec 28 2014 3:45 am Good drama... thanks to the director for making this drama.im siwan is the best actor.. hope to see im siwan in more drama next year.I hope that im siwan will be a famous actor one day like Lee Jong Suk. karina Dec 24 2014 8:46 am Kudos for all the team of this drama. I stand in awe of Lee Sang Min's acting. Hope to see another kdrama with no fairy tale story. Stella Dec 23 2014 12:31 pm Each episode was better than the other. I tried to savor by delaying the watching, but had to finish it. Excellent show on the global struggle of office workers and particularly millennials. clara Dec 23 2014 9:24 am This has to be the highlight of all dramas in 2014. It was fantastic and I take my hat of to the whole team of MISAENG. Its amazing how this office drama hits home to alot of people. Its realistic and true and you dont have to have an office to understand the life lessons shown on this Drama. The 20 episodes were very fulfilling and heart wrenching that at times you cant help but to cry. The CAST of misaeng by far are the best. Everyone played their part and shined without a doubt. I dont think anyone else could have pulled it off like they did. SIWAN is just amazing. His acting surprised me. This is the first drama I have seen him in and im glad i watched it. Lee sungmin was the father of all fathers. He also was amazing. By far the most anticipated person for me was Kang Sora. Honestly I was left speechless after every episode. She is outstanding. She was so natural and boy did she make me cry. In Ugly Alert she shocked me because I was still thinking of that girl in DH2, So when she played Dohee i was instantly facepalming myself due to how different and how well she can act. Sora on Misaeng has also made me believe that it was not Soras acting that lacked in DH2, but the way her character was written. She played her character in DH2 to what the script had stated. Kang Sora you amaze me everytime shes on the screen. She has come a long way from her Sunny Image and im super glad she is doing well and making a name.for herself. I hope in the future SORA and SIWAN show more of their fantastic acting...with many great projects ahead. Im a new fan. alex Dec 22 2014 10:31 pm Worst boring drama for me..i skip watched...i find it uninteresting and meh. People may like it because its different for normal kdrama. For me i find this nauseating. All actors acted very well though. I hate the storyline. Why anyone want to watch all the office politics. Its every corporate. Nasty stuff. In USA , you are white skin you get promoted without doing any work. Leechers and oppurtunist and backstabbers gets promoted. Its survival of the fittest in corporate structure. No moral stuff. Roger Dec 22 2014 10:12 pm First kdrama I have seen that breaks the mold. Looks more like an indy film than the usual plot I have seen in the past. Great show. Glad there is going to be a season 2 for this one. Norma Dec 22 2014 12:25 pm Beautifully done. Congrats! Sarang Dec 20 2014 2:17 am Oh nooo .. one more episode left :-( I was first attracted to this drama because of the rust-red building i took myself when I went to Korea that was right in front of Seoul Station where I just keenly firing shots at what attacks me within the surroundings. Thus, I got more excited to the fact that I use to work at a shipping company where I can simply relate to their day to day saga. Although, Misaeng literally means “incomplete life” .. but to me, this drama means overall BRILLIANCE! DailyDrama Dec 20 2014 1:37 am Episode 19 is absolutely brilliant and realistic. I cried my eyes out. I hate to see season 1 come to and end. But, I am happy there is more to come. I hope the writer keeps the tone the same. i would hate to see too much change. But, I tiny bit of office romance is due because it happens in real life. Shirley Tan Dec 19 2014 9:53 am this is one amazing drama..realistic in its portrayal of office life. those who are newbies to working life will identify with this drama. its also once of those drama that you have to really pay attention to every scene..blink, and you'll missed something. sometimes, little things give us clue to what will happen next. this drama also somehow helps putting some actors into the spotlight. 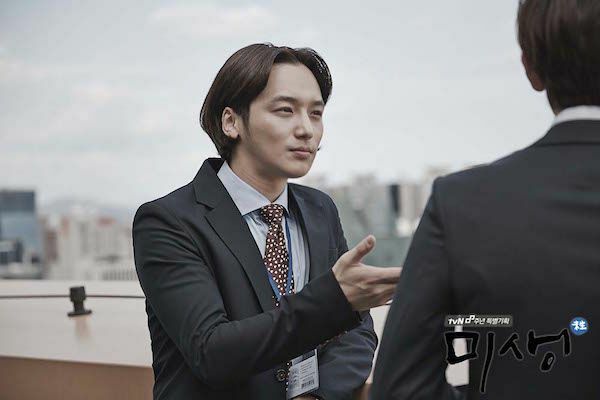 anybody know who Byun Yo-Han is before Misaeng? or Oh Min Sik, Jun Suk Ho or even Kim Dae Myung? sure, we saw them in some movies or dramas before but these fellas are not exactly famous. now, everybody knows who Seok Yeol, Mr. Kang, Mr. Ha and Mr. Kim are. so, cheers to the cast and crew of Misaeng for a job well done! hope 2nd season will be better(and all cast members retained). the final episode is the same as the first episode..90 minutes long.. but, who cares? i even wished it's longer! my3views Dec 17 2014 3:36 am What a hidden gem Byun Yo-Han has turned out to be. I went directly to his page and had to up vote him, too. This is a runaway drama that all other writers, directors will be chasing (no sprinting) after and late night sweating over, to achieve a glimmer of this awesome drama's success. Sarang Dec 14 2014 3:16 am OMG Misaeng is really a very good drama 2 thumbs up! Sad just 2 more epis to go :(( debt & excitement overload ... Just totally amazing! gsmoraes Dec 13 2014 5:37 pm omg.. i keep crying every time that they are mean to Geu Rae!! i just wanna hug him and say thats everything is gonna be ok! Joanna Dec 13 2014 5:32 am What happened with Young Yi and that guy who keeps calling her? toaster Dec 11 2014 5:37 am naomi, you're forgetting that the ratings for the show is considered very high for CABLE TV standards. and then i watched the rest (still ep 1). eeey why his character just like dumbest ppl in the world? I was okay at first towards the main characters but in my opinion the plot was getting boring.... Rating says it all, but people kept assuming this drama was awesome and im still curious. gonna try ep 2 and i wish i'll love this drama. Chaeri Sakura Dec 07 2014 8:43 am love love love this drama... so different in other dramas, fighting misaeng cast and crew!!! norma Dec 06 2014 10:11 pm I have been at a corporate structure in USA. This drama explain how they are different from us with regards to their working ethics and business discipline. They value hierarchy and layers and emphasize more on educational background than individual talents. I could not believe how a superior role has the rights to abuse the lower ranks. Kennedy Rose Dec 04 2014 6:54 am seriously, this show keeps getting better and better. to those who dismiss this show as boring, wow..you guys are missing out in one of the greatest drama out there, regardless in what language. there are life lessons to be learnt..lots! this show makes you realized that there are another side to a person's story. you might think your boss is a jerk, but turns out he's simply trying to teach you in his own (weird) ways. you just never know that colleague who seemed so distant with others might have a sad story. this show reminds you not to assume anything; life might throw a surprise on you. never thought the game of baduk (go) could teach you about life philosophies. (i am trying to learn the game but it gives me headaches.. hihihi). kudos to the cast and crew of this drama..no matter how small a part you have on this drama, you shine thru! to our beloved Sales Team 3 and the Newbies Circle, keep on fighting! and to our puppy, jang geu rae, keep the faith, lad. things will be better for you soon enough and you will no longer shed any tears. elliemae207 Nov 27 2014 10:22 am I only followed this drama in the beginning because of Siwan. First time I watched him was in Triangle, and I wanted to see more of his acting. I'm glad I started watching Misaeng, this show is daebak! Good plot, great story lines, and really good cast! Congratulations on the success of your show so far. Aja Aja! Fighting, Misaeng cast!! Mitta Nov 26 2014 10:12 pm Absolutely the best kdrama in my books! Kudos to the entire tvN team for an excellent production. I can't say enough about the perfect casting, the intricate storyline, the depth of the subject matter, the balance between the good and the bad, the lessons we all learn about office politics.... it is simply brilliant! dromaqueen Nov 25 2014 11:29 am the best drama of A/W 2014 ! Love the screenwriter, and the actor/actresses in this drama. Maina Edward Nov 24 2014 8:36 pm Flawless drama.... All the best guys!! my3views Nov 24 2014 8:18 am This drama has taken me totally by surprise, who would of thought that a drama set in a mundane office environment would harbor such tension and dynamics This screenwriter has made a mundane office setting and charged it with characters of piss and vinegar and power and might and giving us a revealing tail of ethic and etiquette. Siwan revealed a will of steal under his soft but sincerely self deprecating demeanor. Geu Rae replays every word of the days conversation as to decipher and process it into the analytical language of Baduk that is his 2nd language, one he most relate too. It's like a self debriefing in order to get the days events into perspective liken to what REM sleep does for people- a mental refresher. I find it clever that the writer is using the Baduk terminology and rules and analogizing it to office politics. The supporting cast fill out this drama and give it further interest and are written with such realism that anyone with any human contact can relate to them either on a personnel or professional level. Nur Quizatul Aisha Nov 23 2014 8:01 am I can't say how much i love this drama. so refreshing from the usual k-drama setups. has yet to see any love line(thank goodness) and i hope it stays that way. a lot of people has doubts about im siwan getting the lead part and some even prefer kang ha-neul to be the lead. but siwan is simply perfect as jang geu rae with his small stature(well, most of the others are taller or bigger than him! ), delicate features and that shy, awkward demeanor. you can see how tiny geu rae was in the office life for the first couple episodes.. what with his small frame practically swallowed by his father's old suit..even his shirtsleeves were too long. it makes you sympathize with this lost duckling. you cry with him, you cheer for him. the rest of the cast is simply awesome too.. from the principled mr. oh to the busybody suk-yool to the bunch of misogynists who tormented young-yi in the resources team. even the actor who played the hateful mr. park jong sik is incredible. so, go Sales Team 3! Fighting! Aria Nov 15 2014 6:45 pm Watching this drama makes you forget that the actors are paid to act their roles. This is a masterpiece! Every time I watch this drama, I always feel that somehow I am part of it and it seems very realistic that I am always amazed I am watching a Korean drama. Everything in Misaang is first class.A must watch! ch davis Nov 13 2014 1:28 pm I don't know if this would be a good first time kdrama to watch, it might create expectations for the rest. This drama is one of the best I've seen. I was sceptical because it seemed to be staring yet another idol boy, but man was I wrong. Siwan is impressive, the short film Mesaeng he was in, didn't even need subtitles to understand his character. He was so good at expressing the emotions of his character. And of course Lee Sung Min is fantastic in this drama, as always. There is not a dud in the bunch, everyone is wonderful. Drama Fever sort of dropped the ball not having this thoughtful and well acted drama up front and center. They may be underestimating their viewers. I have been really impressed with a few of the idols that are in dramas this last year. The kid in It's Okay, Thats Love, was amazing. Even all the idols in the ridiculously stupid, yet light and fun,  Boarding house 24 are doing a fine job. But none matches Siwan at this point. But that could be partly because of the writing and being surrounded by amazing seasoned actors. Kang So Ra, will make you ache in this, they really address the difficulty of women in the workplace. This is not a cute drama about romance. There may be some, but it's not the focus. At times it can even be hard to watch, because of the abuse some of the workers have to tolerate from their superiors. If this is at all what it's like to be a salary man in Korea, I have no words. Sam Nov 13 2014 6:42 am After watching tons of dramas this year, I can say that this is one of the best dramas of 2014!. With the realistic, well-written storyline and the superb acting of the casts, I highly recommend it! davia Nov 10 2014 12:00 am I am shocked to be watching a truly intelligently written drama where the writers are not writing any old rubbish that they fancy for dramatic effect. It's such a rare occurrence. I am only on ep.4 so I hope this is going to keep up. I love learning all about the shipping/trading/business world from a writer who respects intelligence and storytelling that can ring true. It takes a lot more work on the writer's side but is so much appreciated by the viewers. I hope other writers would take heed. I personally don't mind the Cinderella stories. They provide much needed light weight fun. The problem is when writer's are supposed to be writing something that needs to have a basis in reality in order to have the correct dramatic impact and they just blatantly ignore their responsibility as a writer and take the lazy route. I am so happy to see Kang So Ra again. She is a true actress who doesn't use that fake aego. She acts like a real person. She looks so utterly beautiful too in this drama. A lot of the Korean lead actresses are either nauseatingly cute,, so crass that one wants to slap them to shut up, or just really bad actresses. So that when I sees a good female lead like KSR it's such a pleasant change. All the other actors are doing an incredible job too. The directing is great also. Excited to see the rest of this. Go Misaeng! Stella Nov 09 2014 10:52 am Hands down the best written, directed and cast K-drama ever. Human story and the social commentary is simply top notch. Lee Sung Min, Mr. Oh , is about the best actor I have seen in any K-Drama. For years he is stuck in these third rate gangster, side kick roles. So glad to see his talents being used. All the casting is amazing. The actors have depth and they convey the complexity of their characters. Kudos to the writer, director and the network for bucking the standard K-drama schlock. Irishguy Nov 09 2014 6:19 am Probably the most interesting drama to come out of Korea in recent years. The characters are more well rounded and deeper than in many of the dramas that they churn out in Korea. The acting is first rate. TvN dramas really do try to look at something new rather than rehash the Cinderella tale that the other networks forever repeat. Frosty Nov 06 2014 11:26 am It's a fact that this drama is succeeding because of the quality of acting and the revelations of the character's past and present lives outside the office. I try not to get caught up in the minutia of the trading world since it is boring to me, I just have to concentrate on the characters and their reactions to situations. So many people will succeed in this drama and so many will fail. I can't wait to see how it all shakes out. Anyway, 3 cheers for Siwan. He is doing a credible and outstanding job worthy of an award! danargoo Nov 06 2014 7:20 am The storyline is amazing! Siwan acting are so impressive. really love his acting!!!! demonshide Nov 05 2014 11:28 am I didn't think I'd like this drama. But I'm so into it now! I like the philosophical bent the story gives. They read like instances in Sun Tzu's Art of War. Or Musashi's The Book of Five Rings. Of course, since Go (Baduk) is basically a strategic game of controlling a board, it's understandable why it resembles these strategic war manuals. Incredible story. I don't have any biases in this casting, but I'm liking Oh Sangsik's actor. 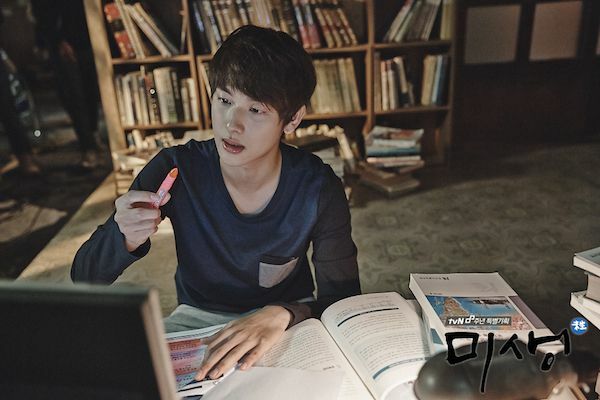 Im Siwan is doing a credible novice who has much to learn about the ways of people. I feel like he's the ugly duckling that will soon turn into a swan. Jang Geu Rae is interesting. Hell, everyone of them is interesting with many layers and all of that. I think that's why this series caught my attention and is retaining it. I'm hoping that they'll tie the story to the opening scenes of the series because I want to know if he made the flight or if he fell. I want to know if that road was opened for him. I hope so. I would want him to sail through that window and chase after that brat of a man. Kennedy Rose Nov 03 2014 10:27 am Omo!!! One of the best drama ever! Daebak! Who would have thought a drama based in an office ettings can be so wonderful? I have watched 6 episodes and now suffering from the withdrawal symptoms! Argh! Can't wait for the next two episodes! The actors are all great especially Im Siwan and Lee Sung Min. And yes, i even like Byun Yo-Han and Kim Dae Myung. Kang So Ra shines as the ace intern and i'm still trying to figure out Kang Haneul's character. Is he a bad guy or simply a misunderstood fella? Hmm. I even like Geu Rae's mom..she's cute..pretending not to care but she really do want her son to succeed..breaks my heart when she took out her savings just to buy Geu Rae a new good suit..not a cheap one. You know that is one huge sacrifice since they are poor..i mean Geu Rae has so many part time jobs, it makes my head spins. But the best definitely is Siwan' potrayal of Jang Geu Rae. He's perfect for the role(i know some want Haneul to be the lead). He looks so small in his ill-fitting suit, his eyes so sad and you could see his confusions, his sadness of being bullied and abandoned by his fellow interns, his hopes, his small victories.. Siwan really did it well. Hands up if you fell like hugging him and shield him from the brutalities of office politics! Hah. katykatz Oct 26 2014 1:46 am I've watched the 4 episodes and I am definitely amazed by the plot. There are no clichés so far and the characters are new but very relatable to real life. I believe that this is one or probably the best drama I've seen in my life. Oppie Oct 26 2014 1:01 am Two thumbs up, it's not just typical kdrama, unpredictable, interesting story lines & amazing cast n crew. lovekdrama Oct 24 2014 6:12 pm Sara omg! your so perfect! I wish one day i can meet you! The most beautiful actress with amazing skills! Your english is to good and russian! wow amazing! Siwam, your acting is outstanding! I love the part when the boss was drunk and he said: my kid..... omooooooo i was so touched! PeaceWon Oct 24 2014 12:11 pm This is one of the very best dramas I have ever seen. Perfect cast, acting OUT of this world and tension in all the right places. So poignant as to bring tears to the eyes, but not depressing. It feels great to watch this drama!!! KUDOS cheers and Hwaiting!!!!!!!! to the writers, directors and actors. fd9208b Oct 20 2014 3:53 am I love this drama, the story is so interesting, and it really shows the corporate life of a newbie. But I'm a little bit disappointed I like Kang Ha Neul but it seems his character is the bad one but still Im gonna like him. Love the story. impressed Oct 18 2014 10:52 am I want kang ha neul to be the lead at first, but wow siwan is good. The story is good as well. Marishalev Oct 18 2014 10:24 am Great acting skills in this drama for a change! There are so many dramas now days that use k-pop idols and they act so cold and unnatural. But this drama seems different in that aspect. Kang So-Ra seems so natural in her acting, it's amazing. And Jang Geu-Rae is so lost, bullied by everybody. You cannot help but feel sorry for him and angry at all others. Other staff are good as well. Good luck to the drama team and good ratings! 엑소 Oct 18 2014 6:28 am I am impartial but I gave it a try coz I only have one series that I'm following right now the others are too men. And I love it poor siwan's character, why why do they need to bully the weak? Monikacz Oct 18 2014 2:48 am Sora so amazing. She speaks so well and fluently in English. Drama looks funny. princess Oct 11 2014 12:11 am watching this for kang ha neul my love and kang sora! I Oct 07 2014 6:25 pm I've been waiting for Kang Sora's next project since Doctor Stranger. Looking forward to her new series. hanura Oct 06 2014 11:04 pm @feelingwronged hiks hiks you're right why isn he in the main poster? i thought he is one of the main character ... waeyo? feelingwronged Oct 06 2014 2:43 am yah yah yah! kang ha neul is not in the main poster! yuri Sep 30 2014 9:43 pm Omo omo so exited....!! :) Sep 27 2014 11:57 am OMYGAD!!! my heart beating so fast while watching the trailer!! ilovesky Sep 01 2014 1:03 pm the only reason why i'm going to watch this kdrama is because of kang ha neul. man, when will they give him a lead role? he's an amazing actor, you can see that he gives his best in everything. good luck, oppa!! yuki Sep 01 2014 9:16 am I look to see Jung Yoon-Jung's 2nd drama, She wrote the excellent Arang And The Magistrate. Nice to see Kang So-Ra has the female lead. I was so impressed by her talent in Ugly Alert. She put her co start on the C-List. Good luck to Siwan, I hope he can rise up to little So Ra's level. kathy Aug 14 2014 1:01 am First saw Sora's act in Ugly Alert , followed by Doctor Stranger and in now in my short list of favourite actresses. Looking forward to see her again in Misaeng. apple Jul 27 2014 4:57 pm oooooh the lead role is between siwan and kang ha neul!! idk who i want ugh, but fighting, ha neul! lummy Jul 15 2014 8:41 pm The story seems so interesting and promising which sometimes I found in Jdrama..fighting Sora unni Sungmin oppa (ajusshi lol)!!!! raspberrygirl23 Jul 14 2014 2:38 am goodluck on your next drama Sorassi! FIGHTING! !